More and more South Africans are taking up side hustles to supplement their income. In fact, according to Moneyweb, one in three South Africans are taking on additional jobs to make it through the month.1 Most of these individuals are doing something poles apart from their current roles to boost their income. Taking on more than one main job has gained popularity among millennials2 in the past few years, with many working additional jobs to complement their salary, or as a way to help settle student debt. While taking on a side hustle is by no means a breeze, it can help you finally attain greater financial stability while consolidating a solid work ethic. But does this automatically point to you taking on another job? Perhaps. There are so many good additional income opportunities available, with some even paying more than many day jobs. What Side Hustles Are Out There? One of the biggest problems people tend to have when deciding to take on a side hustle is finding one that fits into their lifestyle. Adzuna put together a listing of best-paying side hustles in South Africa at the moment, which offers enough flexibility so as not to interfere with the normal eight-to-five day job. Granted, many of these roles come with strange working hours; however, many make it possible to choose your own hours. This makes it easier to fit the job around your lifestyle, not the other way around. Following are listed part time jobs and salaries in South Africa, based on information shared by Adzuna, which is correct as of June 2018. 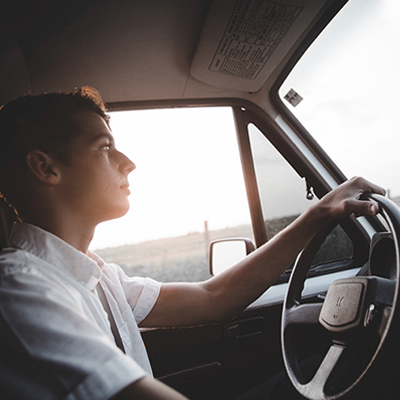 Prerequisites: Varies by employer, but can include having use of your own car, valid driver’s license, and a private hire vehicle license, which is easily obtainable via registered bodies like Lyft. Thanks in large part to businesses like Lyft and Uber, it’s never been easier to become a professional driver when it suits you. Work over weekends and evenings, and around your schedule, and earn a side income fit around your schedule. There is always a demand for corporate cleaning services. Deliver a professional service at competitive rates, and you will enjoy return business, and reap the benefits of word-of-mouth referrals. Prerequisites: Adequate knowledge in the subjects you’d like to tutor, preferably supported by a bachelor’s degree. Great organisational and communication skills, and teaching style. Main benefit: One of the best paying hourly rate part time jobs in South Africa. The phenomenon of side-hustling in South Africa has become so much part of the mainstream that even established financial institutions are getting in on it. According to Business Insider3, Standard Bank is willing to pay someone a million-rand salary to help them pursue their side hustle full time. The bank’s new campaign, My Fearless Next, wants to give budding entrepreneurs afraid of taking a leap of faith the financial security to take on their side hustles with confidence. The most promising side hustlers will be put through a bootcamp, with one contestant walking away with the chance to pursue their side hustle as their full time job. Those who don’t win the final prize still benefit from the bootcamp training, giving them skills that can be applied to their side hustles. While the lure of an additional income in your spare time is enticing, there is also an underbelly of side hustling to be considered. Perhaps one of the biggest dangers of taking on a side hustle is the potential for it to place greater demands on your time than you’re able to give. Be wary of adopting the “always on” mentality. If you don’t put clear boundaries in place that separate work from your downtime, you may end up working every waking hour of your day. This bleeds into several areas of life, across family time and even putting your day job in jeopardy. The additional income is tempting, but avoid allowing your side hustle to degrade your quality of life, or throw your life out of balance. Upskilling yourself can better position you to take on a new side hustle. Lifelong learning is becoming more and more popular among working professionals who realise that in order to stay agile and relevant in an ever-changing economy, they need to continuously upskill themselves. You might already be set to turn your hobby into a side hustle without even realising it. If you’re good at taking photographs, taking a digital photography course can teach you the finer details of becoming a professional freelance photographer. If you love building websites and emails, or think you could be good at it, solidify your expertise with a web design and graphic design course. At GetSmarter, we offer online short courses from the world’s leading universities in areas as diverse as project management, business and international relations, and artificial intelligence, among many others. We make learning flexible and adaptable to your schedule, and make it easier than ever to learn new skills that can help you in your career, or even taking on a new job. Ready for a side hustle?